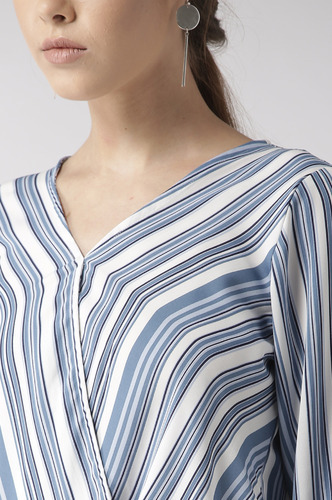 Wrapped With Perfection, This Wrap Style Trend Is A Must Have For Summer And Fall. 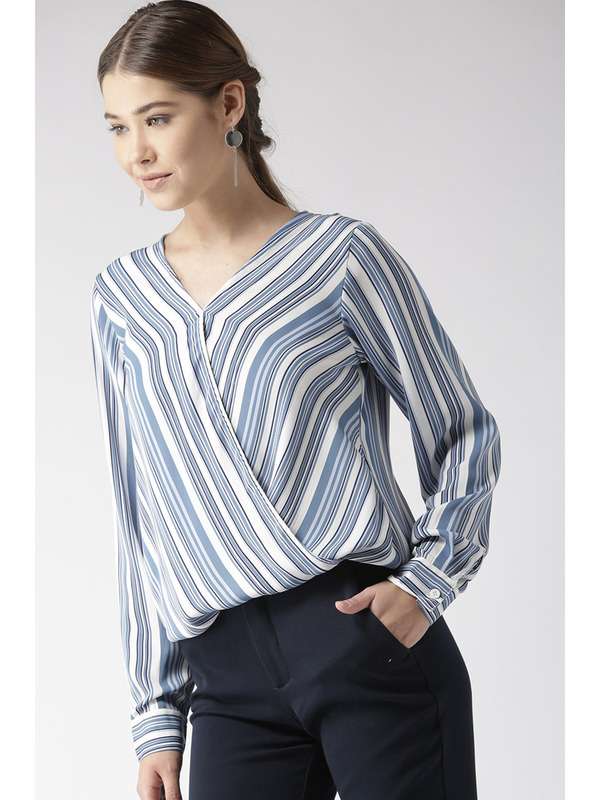 Accessorize with: A pair of black pants, block heels and a Handbag will complete this stunning formal look! 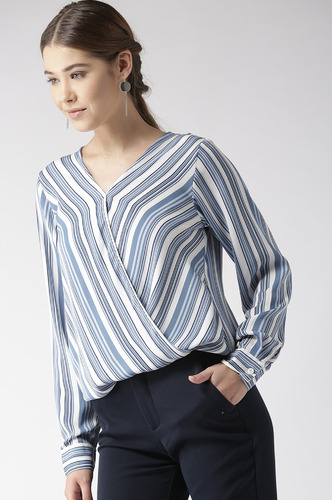 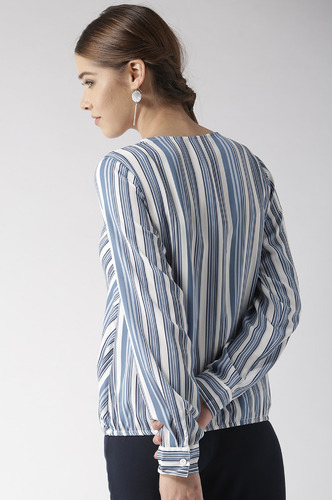 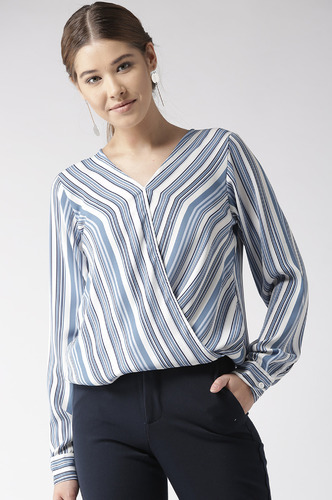 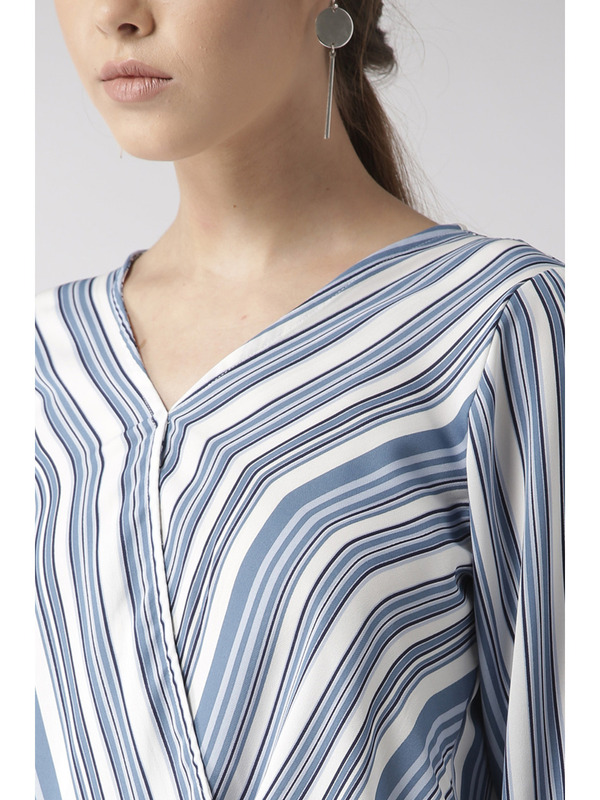 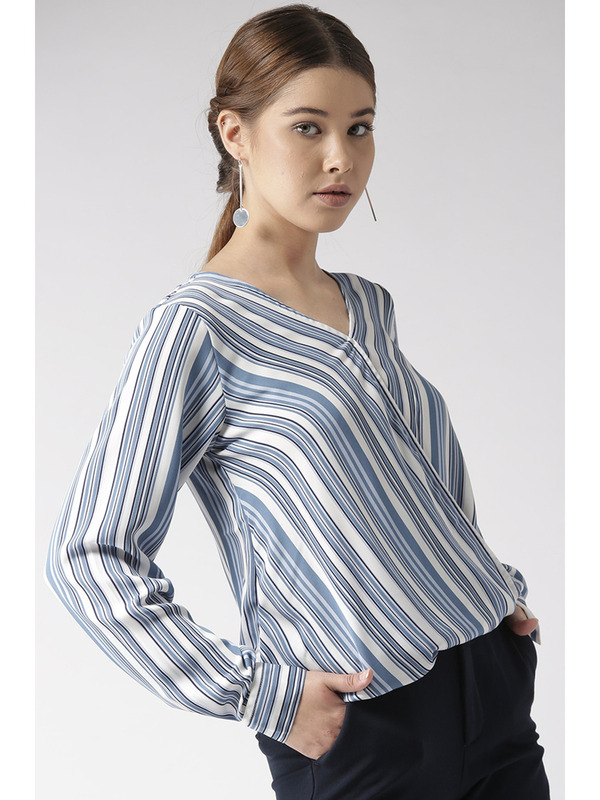 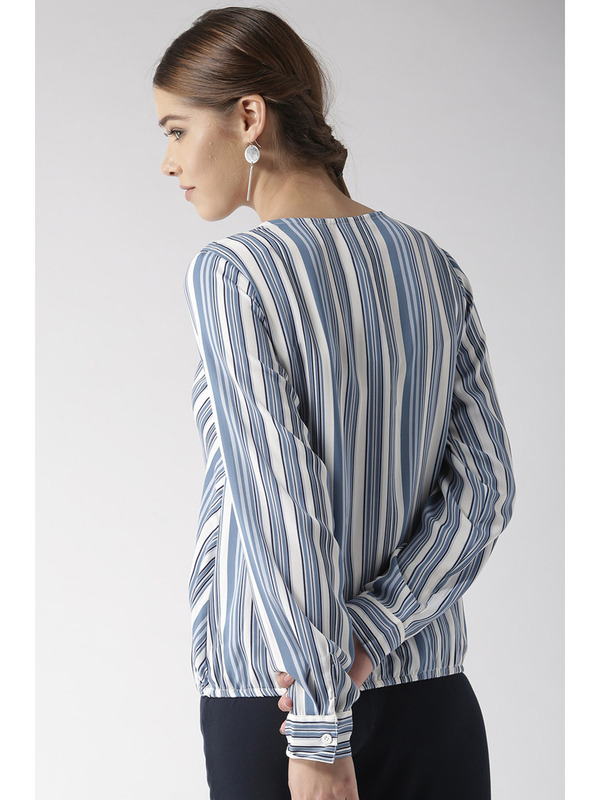 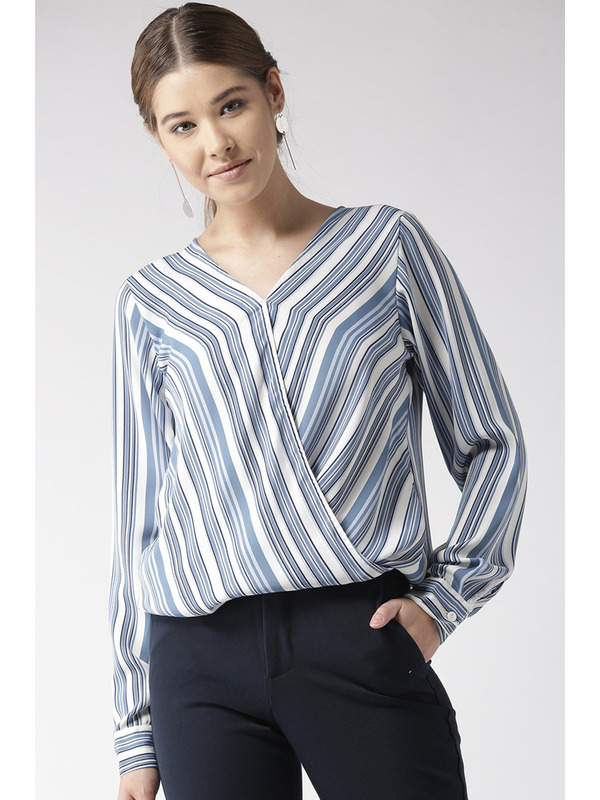 Blue And White Stripe Printed Polyester Crepe Top. 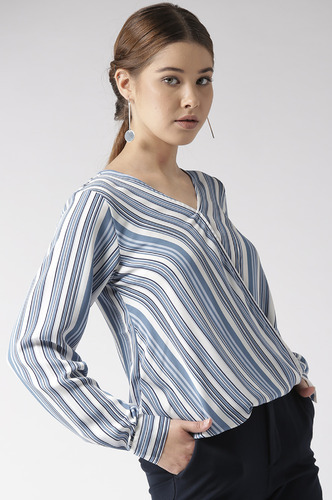 Wrap Style Top With Elasticated Hem.